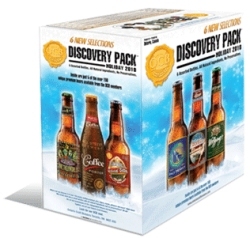 TORONTO, ON – The 7th edition of the Ontario Craft Brewers Discovery Pack series is available now in select LCBO outlets. More details about the package, including tasting notes, can be found on the OCB website. All of these beers were disappointing. Coffee porter was the only beer I enjoyed.